We gave special recognition to organizations and businesses who had outstanding United Way campaigns and qualified for an award. The Per Capita Awards recognize organizations with high per capita giving; The Participation Awards go to organizations with high participation rates; and the Community Service Awards goes to organizations with a 10% increase over the previous year and 75% participation. The Per Capita and Participation Awards come in three levels: Gold, Silver and Bronze. · Joy Kastenschmidt, Doorworks, Inc. Finally, we thanked all other organizations who did so much for United Way this past campaign, including businesses who held special events or donated raffle items or in-kind services. 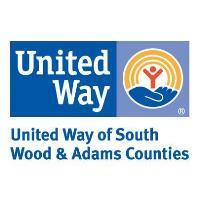 These organizations received the “Live United Award” for their special contributions to our campaign. 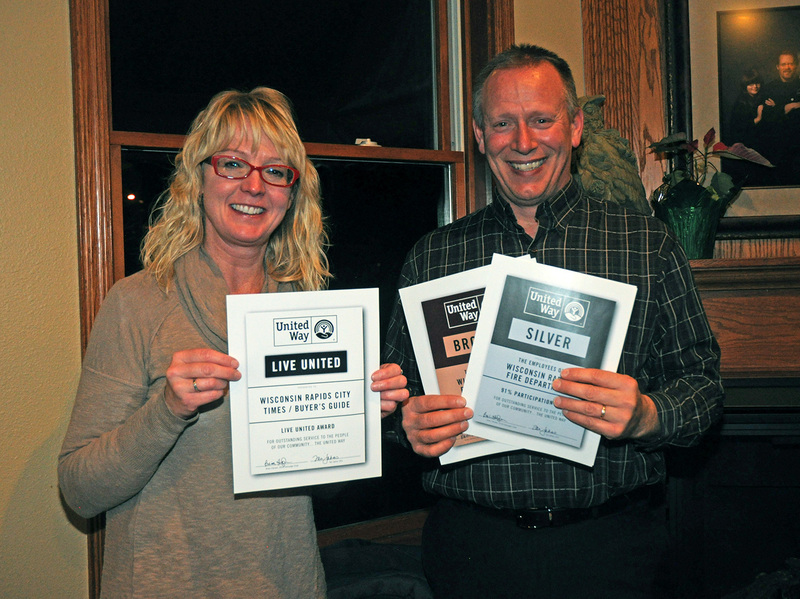 Kris Leonhardt, of the Wisconsin Rapids City Times / Buyer’s Guide and Steve Belter, of the Wisconsin Rapids Fire Department, accepted awards for their organizations during the United Way Thank You Celebration on January 9th.